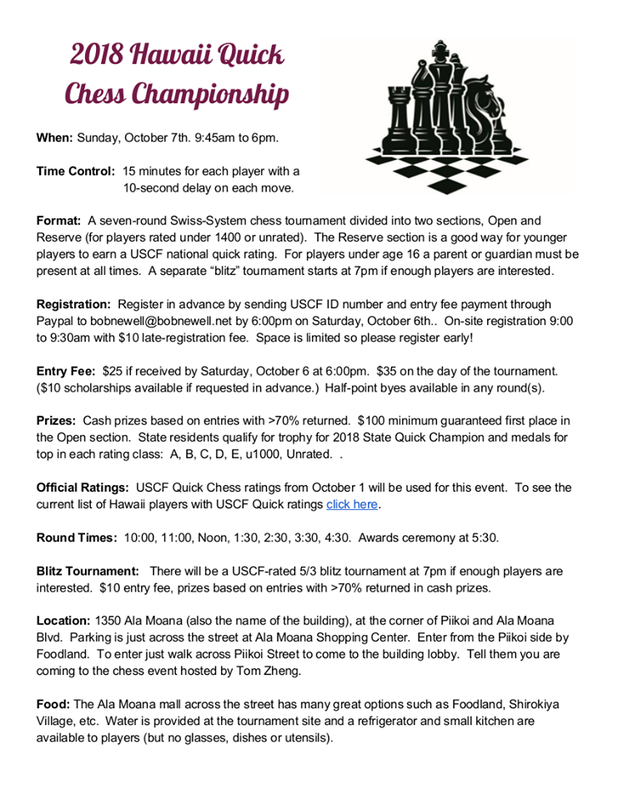 The 2018 Hawaii Quick Chess championship is going to be held on Sunday, October 7th across from Ala Moana Mall. See the below flyer for more info. Space is limited so register in advance! Click the flyer to see a larger version.